Whether you are a beginning camper or an experienced one, it’s always good to have a list of camping equipment you need to take with you. In fact what I do is have a trunk-like plastic container filled with the non-perishable supplies that I always take camping. This way everything is ready to go. Once a year in the beginning of camping season, I update the items and do a supply check. Food – It’s a good idea to have easy to prepare food. Make a list before you go of meals you want to prepare and go shopping. You can always check the internet for good camping recipes. Have on hand dry condiments such as salt, pepper, spices, sugar, and powdered cream. Be sure to bring staples such as coffee, bread, potatoes, catsup, mustard, onions, bacon, eggs, and marshmallows. Camping convenience foods you may want to include are granola bars, instant oatmeal packs and peanut butter and jelly for quick eating. Don’t forget something to drink. Sleeping Equipment – As you are aware, the tent is a very important part of camping. Make sure it is waterproof and has a canopy for rain run off. Include a tarp or ground cloth for under the tent. Make sure the tent is always stored in a dry place to keep it free of mildew. Include sleeping bags to keep you nice and warm and an air mattress to keep you off the ground. Don’t forget the pillows. Lighting – There is nothing worse than walking around a campsite without light. Bring a lantern either powered by propane or batteries. Include a good heavy duty flashlight and it’s always good to have a spare one. Don’t forget the extra batteries. Cooking Utensils – Include a frying pan, camp stove with fuel, pot with lid, grill, spatula, coffee pot and tongs. First Aid Kit – A great idea is to put together a waterproof container filled with the following supplies that you keep stored with your camping equipment and is always ready to go. Be sure to include Panadole or other pain relievers, antibiotic cream, antiseptic, band-aids/bandages, tweezers, allergy medicine if needed, sunscreen lotion, bug repellent, antacid tablets and a box of pre-moistened towels such as baby wipes. Personal Items – Once again it’s a great idea to keep these items stored in a waterproof container for easy accessibility. Include bar of soap, hand sanitizer, shampoo, toothpaste and toothbrush, razor and shaving cream, deodorant, comb/brush, makeup bag, washcloth and towels. 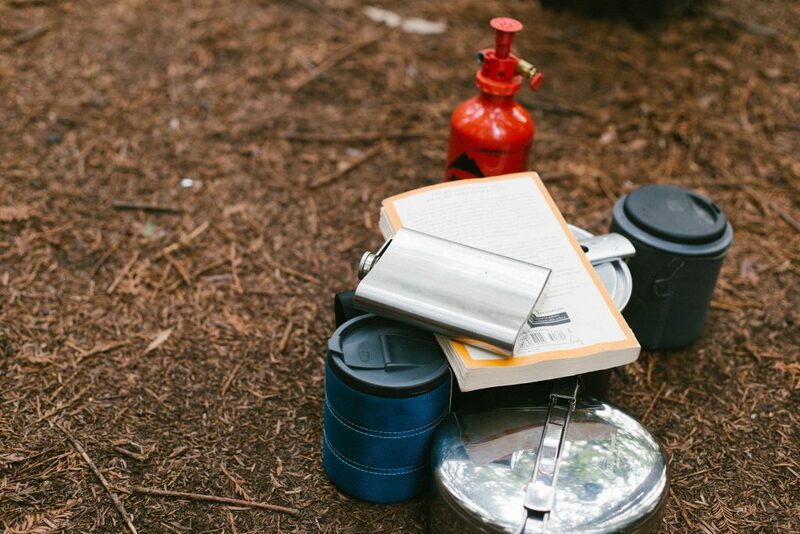 Miscellaneous Supplies – Here are some things that will help make your camping experience a good one. • Paper plates, napkins and plastic knives, forks, and spoons. Bring along your camping reservation and directions to the campground and your good to go camping. Have fun camping! This entry was posted in Camping and Survival and tagged Camping, camping check list.